Run along a course that’s both breathtakingly beautiful and filled with challenging uphill and downhill stretches, the Marin County Half Marathon takes runners on both a journey through the hills and among the mountains overlooking California’s San Pablo Bay and San Rafael, and an environmental one, as the race’s organizers seek to stage a running event that puts sustainability and renewable energy at its forefront. Down to every last detail, the race is planned as a model for how to stage running and really any outdoor athletic event in an environmentally sensitive way. All power used during the event will be generated by solar or other forms of renewable energy; all toilet tissue, soaps and other paper used will be biodegradable; all event t-shirts will be made from organic cotton only, with environmentally friendly inks; and all race awards will be made from recycled materials, just to name a few. The out-and-back course for the race’s half marathon will start and finish at McNear’s Beach County Park, just outside China Camp State Park on Cantera Way. From there, runners will follow the course as it winds its way along the hillside and along the beach overlooking the bay, following an east-to-west direction through the park. The route will follow North San Pedro Road through the park and out into the residential neighborhoods just to the west of the park, through Santa Venetia out to the Redwood Highway and back. Runners can expect to encounter the course’s steepest and biggest hills in the early going, as the course elevation rises from near sea level at the starting line to just over 110 feet above sea level right before they reach the first mile marker. The course then flattens out for the next few miles, and turns hilly once again between mile markers 9 and 11, after which it heads downhill back to the park. Overall, the course is made up of two surfaces — some stretches takes runners along paved roads, while other sections takes runners over natural-surface trail, organizers add. The route climbs about 1,500 feet over the course of the race through China Camp State Park, and runners in the half marathon will have a course time limit of 3 hours, 45 minutes. Nestled among the rocky hills of the area known as the North Bay in the San Francisco Bay Area, about a half-hour’s drive north from the city, San Rafael typically sees cool to moderate weather in the spring and heavier rainfall in the winter and early spring than in the summer months. On race day (April 28), the average low is 48ºF and the average high is 70ºF. 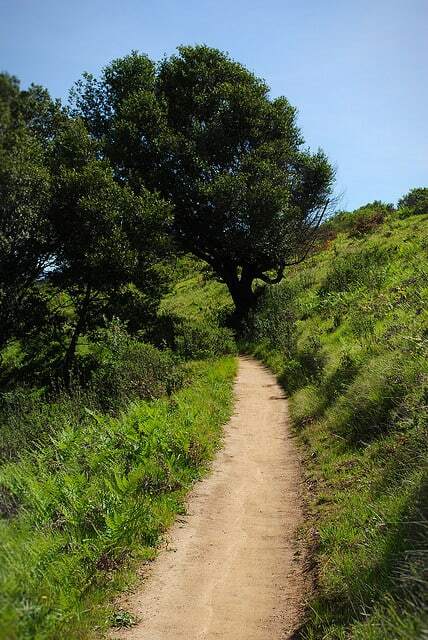 See the race route map for the Marin County Half Marathon here. To reserve your spot in the 2019 running of San Rafael’s Marin County Half Marathon, 5K or 10K race, register online at Active.com here. Ever run in the Marin County Half Marathon? Share your impressions here, or post your review in the Comments below. My daughter is running in the upcoming marathon. Is there a website where I can watch the race on line? My daughter is running in the marathon and I was wondering if it might be televised on the internet. If it is what is the website address?